Tarot high current PDB power distribution management module is suitable for large-scale unmanned aerial vehicles such as agriculture drones, mapping drones. Support four-axis / six-axis two UAV installation, support 12S power supply, the total current reaches 480A. This PDB board is suitable for 4-axis/6-axis drones and agriculture Drones.. The new XT90 plug is used to support two 6S batteries in series, and a 10AWG power cord is reserved. Reserve two 6S power supply interfaces / two 12S power supply interfaces. The brushless ESC signal socket features a custom anti-missing design. 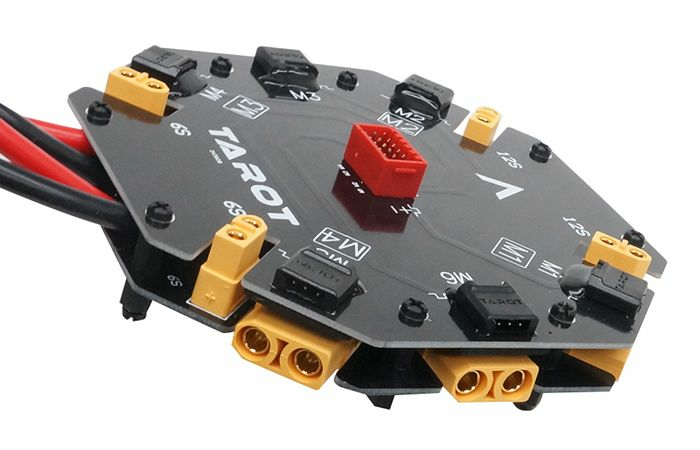 The customized ESC red signal hub also prevents mis-insertion design and guides accurate wiring to prevent the vibration of the UAV from affecting the reliability of the contacts. The overall details show the quality and ingenuity. The two TX60s reserve power for the 6S, which can supply power to the common flight control, and can also supply power to other devices that support 6S. The other two XT60s reserve power for the 12S. This path cannot be used as an ESC power supply interface. It can be connected to the step-down module or other equipment that supports 12S voltage. Pay attention to the power supply of the ordinary flight control with the power supply range of 3S-6S. Otherwise, the flight control will be burned. 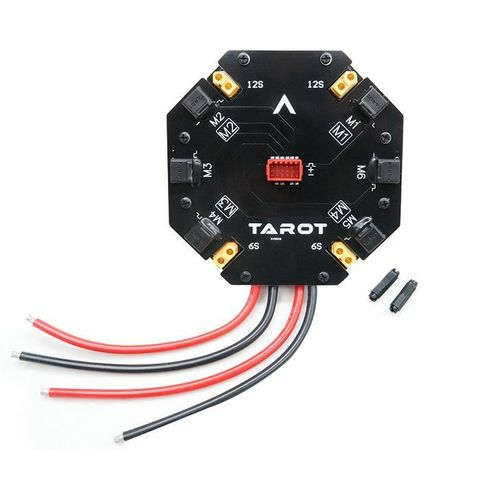 When installing, pay attention to the arrow mark to be consistent with the front of the head, support four-axis six-axis models, according to different models according to the identification wiring. 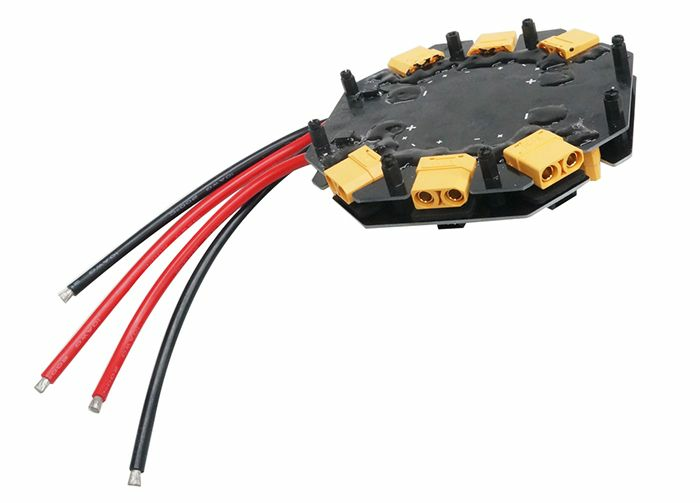 The main power cord is recommended to solder the AS150 plug, which is divided into positive and negative left and right and negative, and cannot be mixed.